The winner of the Athens Rotary Foundation Scholarship split the pot contest on April 8, 2019 was the table of pooling players. Jack Ellis represented them to collect the weekly split of $21 and then proceeded to cut the six of Clubs from the deck of cards. So, the contest will continue next week with the accumulated pot starting at $60 with 50 cards remaining in the deck. The winner of the Athens Rotary Foundation Scholarship split the pot contest on April 1, 2019 was Pete Couladis. Pete collected the weekly split of $16 and then proceeded to cut the five of Clubs from the deck of cards. So, the contest will continue next week with $37 beginning in the accumulated pot and 51 cards in the deck. 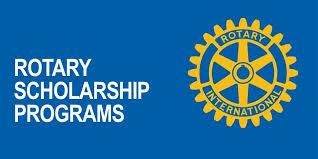 The 36th Athens Rotary Foundation Scholarship split the pot contest began at our weekly meeting on March 25, 2019. The lucky ticketholder for the first drawing was Tom O'Grady. Tom collected the weekly split of $21 and then proceeded to cut the Queen of Hearts from the new deck of cards. So, the contest will continue next week with $21 beginning in the accumulated pot.